Group 4 - How do fertilizers affect human health? Students explore the concepts, theories, models and techniques that underpin each subject area and through these develop their understanding of the scientific method. A compulsory project encourages students to appreciate the environmental, social and ethical implications of science. This exercise is collaborative and interdisciplinary and provides an opportunity for students to explore scientific solutions to global questions. How do fertilizers affect human health? To approach this problem, we subjugated the main answer into multiple different explanations. On the chemistry side of things, we analyzed what a fertilizer actually is - chemical structure, components, and how it affects letuces and other plants. 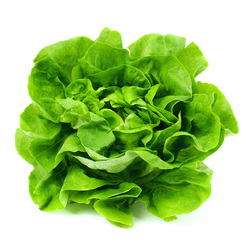 To complement the research, we have contextualized fertilizers and lettuce in our home country, Brazil. On the biology side of things, we have focused on how does lettuce and other plants transmit traces of the fertilizer, how does the components act inside a human body, and ultimately what are their effects on health. In order to convey our research we decided to adopt a more modern and intuitive final product. This website consits of various subtopic pages. To access our research, hover your mouse in one of the above tabs and chose one of the subtopics that will appear. Enjoy our work and the team salutes you!